Highlight the text that you’d like to make a hyperlink to a website. 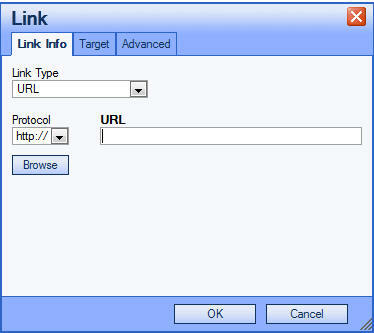 Enter the URL of the web page or document that you’d like to link to. The text in your editor will now be a hot link. You can test it in student / preview views.